Just steps from Blairgowrie foreshore and village shops, sits this modernised 1950's beach house which is position perfect for your relaxed holidays without worrying about the car keys. Accessed via a share driveway to the rear, the home is privately set behind security gates and surrounded by a beautiful garden setting featuring olive, citrus and frangipani trees. A covered front veranda plus outdoor side courtyard with servery window to kitchen provides options for enjoying easy alfresco entertaining. This gorgeous property features an open plan kitchen, dining and lounge with wood fire heater and ceiling fans, 2 bedrooms, 1 bathroom and laundry. 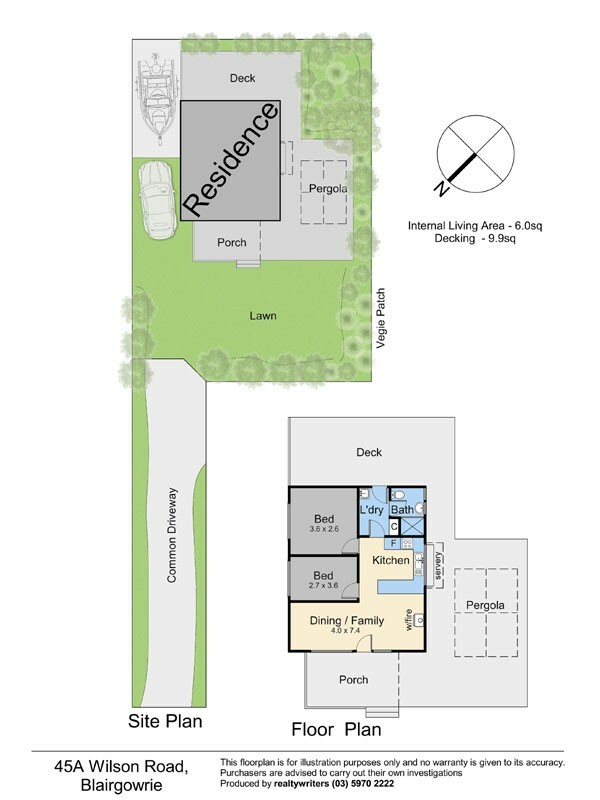 There are also approved plans to add an extra bedroom/rumpus and toilet. 433sqm approx. of low maintenance land with OSP for 3 cars.